Learn Russian with Russians in a native setting! Individual Tuition for Learners of All Ages and Levels. Customized Tutor Selection and Replacement. 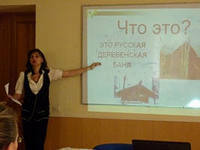 Language tuition offered by qualified teachers of Russian as a foreign language. All our language tutors are fluent in English, French, Spanish, German or Italian. 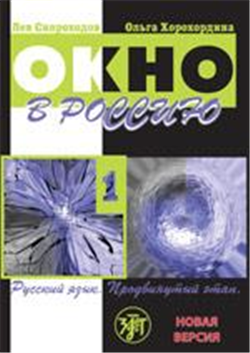 Many of our tutors are authors of renown Russian language text-books and hold M.Phil or Ph.D degrees in Teaching Russian as a Foreign Language. We are happy to adjust our classes to your schedule and to be flexible with the day and time of your classes to fit in with your work and travel commitments. A sample class: We understand that your one-to-one classes will be the most effective if you and your tutor become good friends. For you to understand if you like your tutor we suggest you take a sample class where you discuss your level in Russian and your goals. Your sample class is covered with a fee outside your contract. If you decide to go on with your tuition, we sign a contract and you pay for your course. Grammar is combined with extensive speaking, reading and writing practice to ensure a rapid improvement in your ability to effectively communicate in Russian. The core course consists of sixty 90-minute classes and can be extended on an individual basis. Available exclusively for complete beginners and elementary level students. This course enhances your speaking skills and fluency in everyday Russian. The core course consists of twenty 90-minite classes and can be extended on an individual basis. With our Business Russian course you will gain confidence in spoken and written communication in a business set-up. This course is especially designed to address the key language challenges business people experience when working in Russia and with Russian counterparts. The core course consists of twenty 90-minute classes and can be extended on an individual basis. Our Russian for Special Purposes courses were especially designed to meet the needs of a broad range of professionals in Marketing and Sales, Banking and Finance, Tourism and Hospitality, Education and Training who use Russian for their professional purposes. This module is tailored to the linguistic needs of our corporate clients based on their area of business and contacts. Dozens of the leading Russian and international companies trust their staff’s Russian to us. Individual tuition is available at any time upon your request. Please note that you are kindly requested to purchase your textbooks for your course. We are happy to offer you a 5% discount if you wish to pay your full course fee right away and if you opt for a contract including more than fifteen 90min-classes.